The end of one year and start of another always gives us time to simultaneously reflect and look forward. I’ve always found it to be a good time. Did I accomplish what I wanted in 2009? How can I be more successful in 2010? Wow…I’m coming up on my 10-year high school reunion (don’t despise me because I’m still under 30). The year 2000 was supposed to usher in flying cars, new technologies and almost limitless possibilities from the Internet. And in just 10 short years so much has happened that it’s easy for even a young guy like me to get behind the curve every once in awhile. Before 2000, we never used Facebook, YouTube, Twitter, LinkedIn, iTunes or this little search engine program called Google. Think about that. No Google before 2000. How was I even able to find information for my high school research papers? And as these technologies grew so did our reliance on online video. That’s right, I said “reliance” because these days the news is becoming more and more about what we can see and hear and less about what an anonymous source said. Don’t believe me. Try to think of the White House crashers story without the accompanying video of Mr. and Mrs. Salahi walking around the White House posing for pictures with the president and vice-president. Or maybe how protesters in Iran can only show what is happening to them by posting cell phone videos on their Twitter accounts. 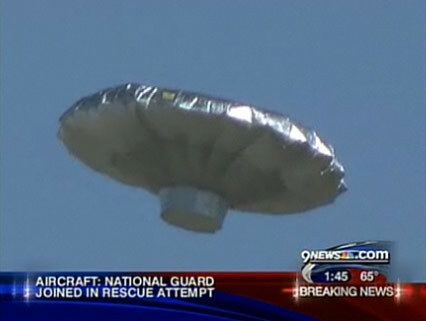 Still not convinced, I have two words for you: Balloon Boy. Today’s technology is forcing you and your company into a video-centered world…whether you like it or not. If you still don’t have video on your Web site, you’re competition probably does. If you’re still going to sales call with a PowerPoint presentation, your audience has probably seen it before. As you start to both reflect and look forward, ask yourself, “How did I stand out in 2009?” More importantly, “How can video help me stand out in 2010?” If you can’t answer either question, now might be a good time for you to call The Impact Group.